We went to a site that will be opening soon for work and we ended up lunching at this local place featuring local food. 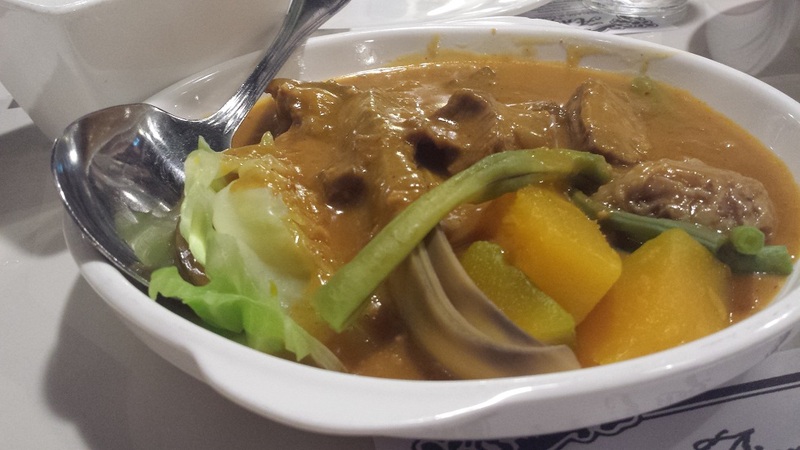 If you have been reading my blog for a while, you know I have a thing for preferring food at home generally when it comes to Filipino food. What beats it being the flavor you grew up with? But I was with a group, and was in the mood to try something new. So there we were. 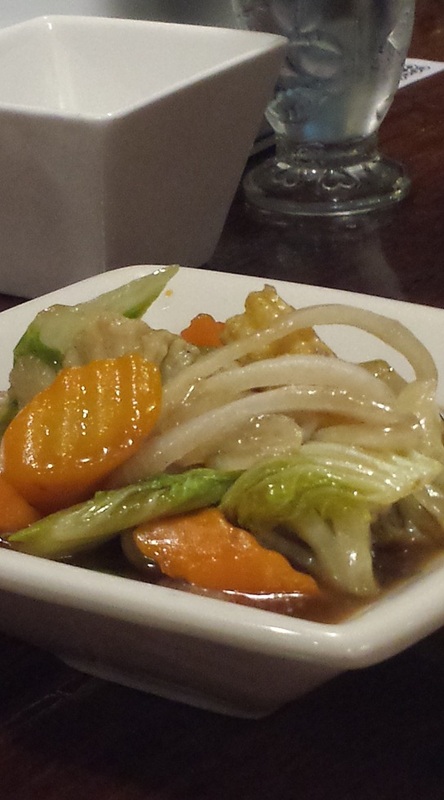 We ordered the family pack which comprised of one soup (sinigang na hipon – shrimp), one vegetable (we chose the mixed veggies), crispy pata (fried pork leg), beef peanut stew, rice and a pitcher of iced tea. 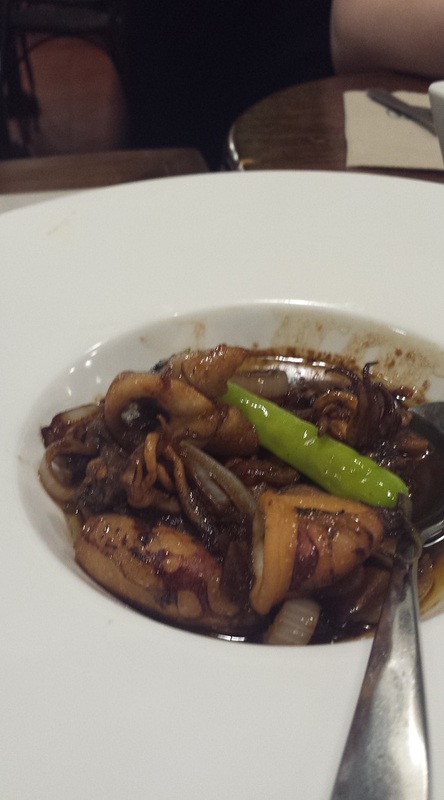 Then we ordered some squid in olive oil, and some carioca for dessert. The food actually worked for 8 people. Either we are very light eaters, or the food was just more than enough really. 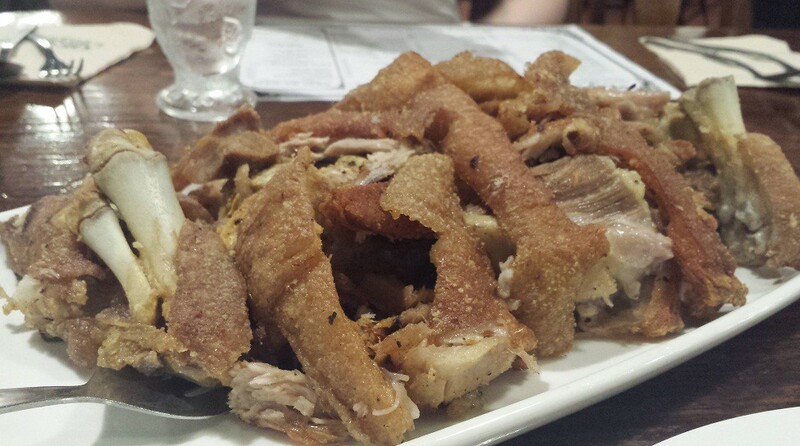 But we weren’t even able to lick the meat off the bones for the crispy pata. My rating? Not too bad. 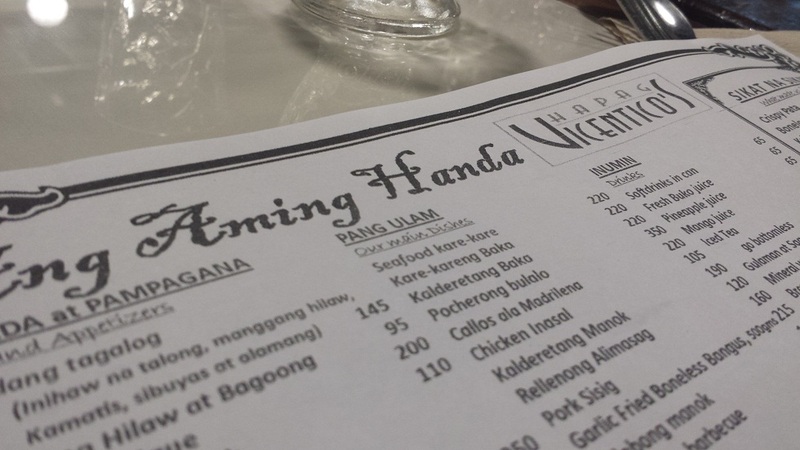 The crispy pata kinda made up for so so flavor the kare-kare, and the 4 pieces of shrimp for the sinigang (remember we were 8, and it was advertised as good for 4 to 6 people). But that was about it. But the runaway hit was the carioca. Carioca is a ball of dough of ground sticky rice, fried, then coated in melted sugar. And this may be the best that I have ever tasted! But then, you wouldn’t go there to just eat that, would you?